One of my absolute favourite things about spring is the colours. With it being Easter Monday, I thought this would be as great a time as any to talk about pastels. Summer is all about brights, fall is vampy, and winter is glitter (well, holiday-season winter), but spring? It’s all about the pastel. For nails, I love rocking Essie’s Mint Candy Apple or a baby pink or coral (like OPI’s Is Mai Tai Crooked? from their spring 2015 Hawaii collection). For lip colour, I’ve been loving Maybelline’s Rebel Bloom collection, and for some hydration, EOS is rocking it with their new spring collection. This two-balm set has already been popping into drugstores for a suggested retail price of C$7.99. Included is two scents, passion fruit and limited-edition watermelon, housed in the iconic EOS sphere in pastel shades of lilac and pink. 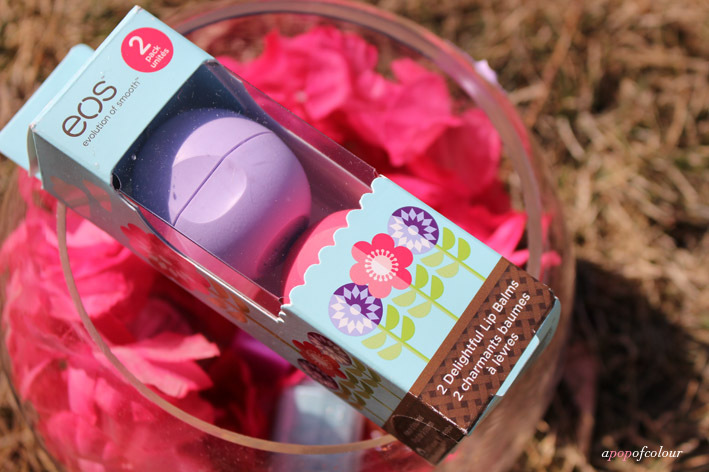 If you aren’t familiar with these little Easter eggs, they are 100 per cent natural USDA-certified organic formula enriched with nourishing shea butter and soothing jojoba oil. They are petrolatum free, paraben free and gluten free. They provide long-lasting moisture for sensationally soft and smooth lips. I have so many of these little guys, and not only are they great for your makeup counter, gym bag, work desk, you name it, but they are great to give as gifts as well. Pretty much all my friends received one during the holidays. Although they are great to play around with and hold/play with, I particularly love the scents they come up with. Passionfruit is already part of the regular line, but the watermelon is quite nice (and this is coming from someone who isn’t usually a fan of that cosmetic watermelon smell). If you spotted these in your local Wal-Mart like I have, hopefully you scooped up this set because it would have made the perfect Easter gift (and a fat-free one at that!). 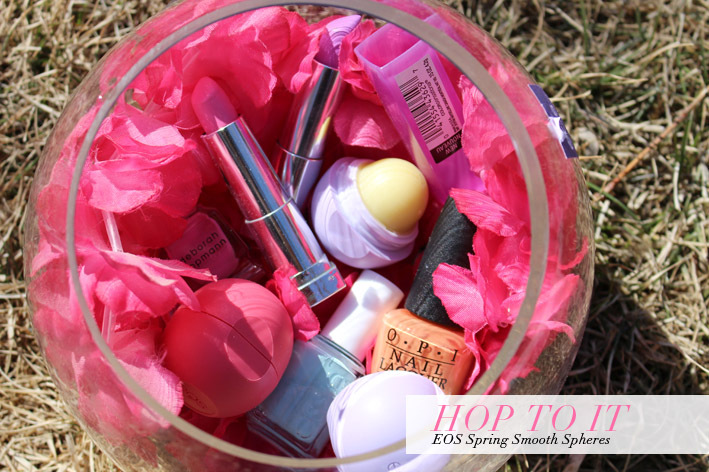 If not, these always come in handy and EOS usually kills it with the limited edition packages (hello, look at that cute spring-themed box!). 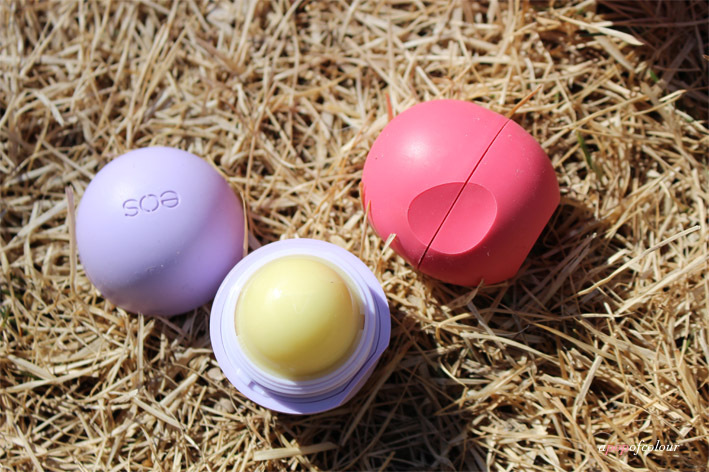 Are you a fan of EOS Smooth Spheres?